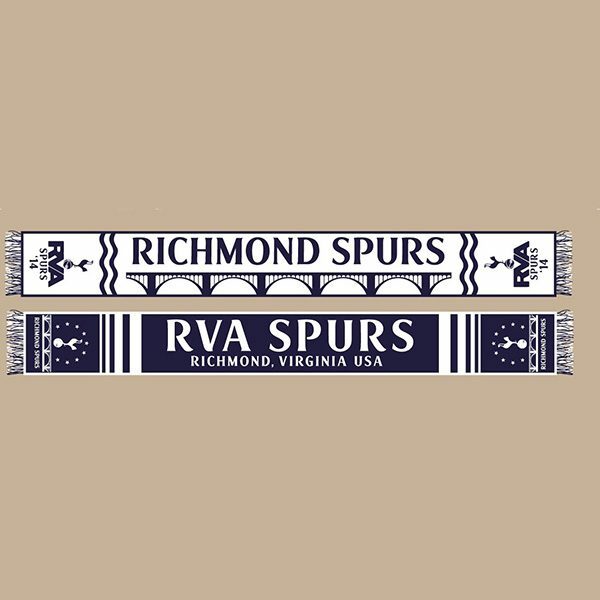 Show off your RVA Spurs pride! Made of high quality “Classic Knit” fabric and featuring bound edges that don’t roll, the 2018 knitted Richmond Spurs scarf is 63″ x 7″ and two-sided, featuring a reversible home-and-away color scheme. Click the image for a detailed product view.